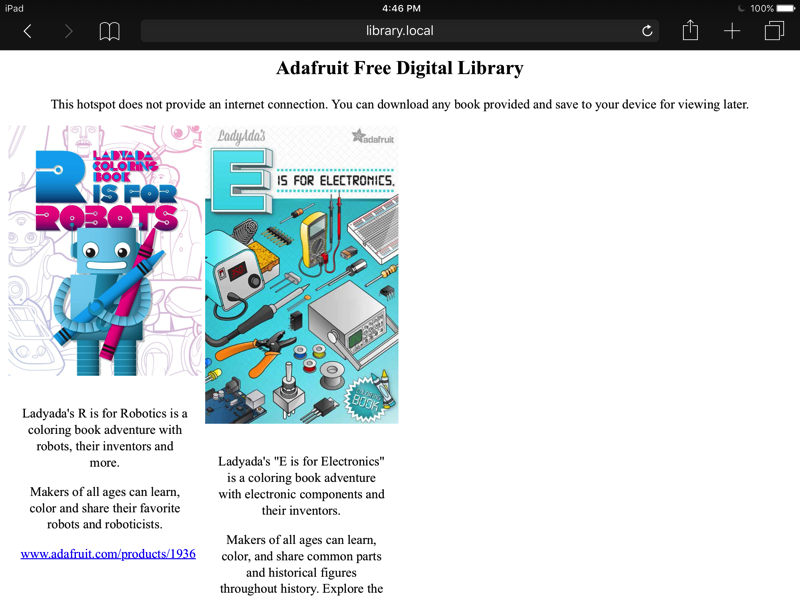 NEW TUTORIAL: Digital Free Library « Adafruit Industries – Makers, hackers, artists, designers and engineers! The Digital Free Library is a fun project that will allow you to create your own electronic library to share with others. Similiar to a Little Free Library but digital. I decided to create this project so I could share my favorite digital magazines and projects with my neighborhood. Hopefully this will get others interested in electronics by showing them stuff they might not have know about. We will be using a Raspberry Pi Zero and a WiFi adapter to create a hotspot that others can connect to and browse the digital books offered.